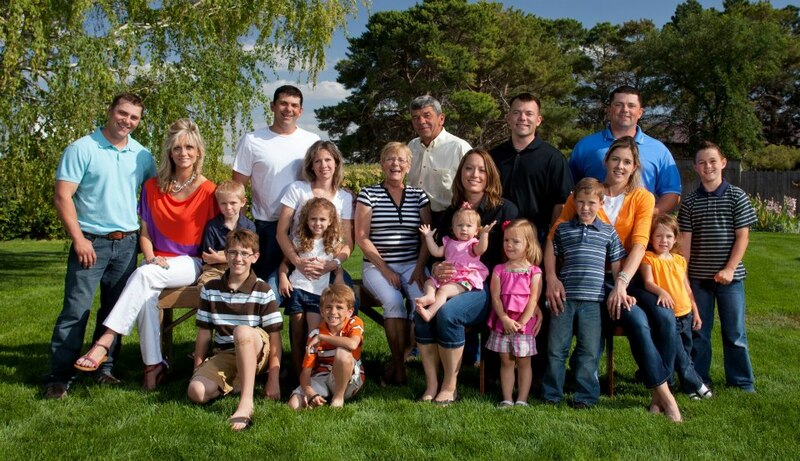 The McCarty Family Farms have received the 2014 U.S. Dairy Sustainability Award. Read more here. Posted March 2014--In 2000, the McCarty family , dairy farmers since 1914, relocated from Pennsylvania to Kansas, in search of a way to grow responsibly and sustainably into a large-scale, conventional dairy. Here Ken McCarty, a fourth-generation dairy farmer, tells the story of the family's rewarding relationship with Kansas State University, an anchor institution that supported them as they expanded into three dairy farms in Bird City, Rexford, and Scott City, Kansas, that now employ over 100 people in these rural communities. He also talks about the family's decision to leave their producer cooperative to forge a values-aligned contractual partnership with Dannon Inc. By reducing price uncertainty in a way that benefits both parties, this direct partnership has allowed the family and Dannon to work together to raise the bar on their shared social and environmental goals. Our partnership with Kansas State University’s Research and Extension began 17 years ago. We were introduced to the people of K-State Research and Extension via the economic development folks in Kansas when we were researching our relocation from Pennsylvania back in 1996. K-State played an integral part in our relocation. They helped us with site selection and facility design, and with our business plan and pro-forma budget. They even sat in on meetings with our lender, who was unfamiliar with dairy lending, to reassure them that our business plan was sound. The folks at K-State have been personal mentors and friends. They have been a huge asset in our ability to grow and to this day we continue to work with them on improving our facility design and on more specialized problems. For example, K-State redesigned our sand reclamation units now operating on two of our three farms. The sand we reclaim is used as bedding for our cattle housed in free stalls. We calculated that with our most recent design change we are capturing over 97 percent of our sand for reuse, which means not just financial gains because we don’t have to purchase much fresh sand, but environmental gains as well. We are also continually working with K-State on ways we can more accurately monitor and reduce our water usage including innovations in smart cow cooling systems so that when cows leave the pen we don’t run water. Three years ago we completed a full life cycle assessment on our farms to quantify our carbon footprint and evaluate various options on how we could reduce it. The primary way was to make our cattle more productive. 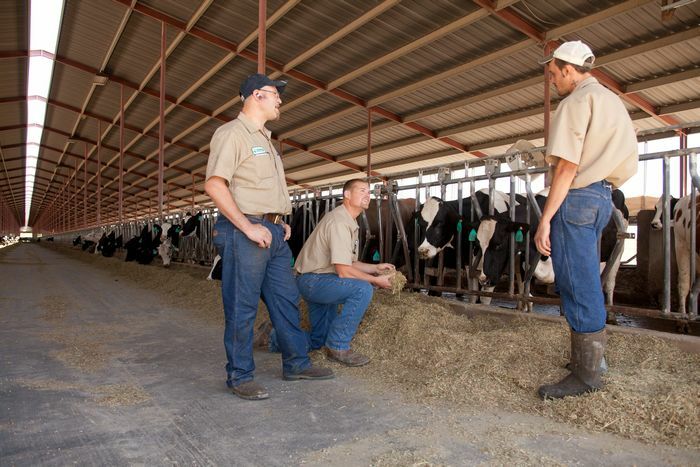 We have increased productivity by roughly 14 - 15 percent without using synthetic growth hormones. All that has been achieved by improved feeding, milking procedures, and the elimination of stress. We also continuously evaluate ways to reduce electrical usage and fuel consumption. We are working with our rolling stock dealers to upgrade our skid loaders to bring in more fuel-efficient vehicles, and have completed energy audits and efficiency upgrades in all our employees’ homes. It is true that the greatest sustainability efforts in the world mean nothing if you go out of business doing them. Before our partnership with Dannon we had been operating in the traditional coop model. While that model is very good for certain producers and for certain business models, it did not fit with my family’s business vision and goals. Our connection to the product and to the consumer ultimately ended when our tanks of milk were uploaded into the semi’s milk tank. We had limited ability to modify our product or our practices to meet the demands or desires of the consumer, the retailer or the processor. Ultimately when you deal with a bulk commodity market you can only ever expect to get bulk commodity prices. Our lender Amarillo National Bank told us, you guys need to become price makers not price takers, and that resonated with us and we began to search for ways to look at alternative models. That led us to conversations with people at Dannon about our willingness to explore different pricing models. About three years later in 2012 we entered into an exclusive rights agreement with Dannon to provide all of the condensed milk for their Fort Worth, Texas, yogurt plant. Essentially ours is a cost plus model in which we work collaboratively on shared goals. We create those goals together and we work together towards achieving them. Our agreement is over a certain period of time with the option to continue if both parties agree to it. By that I mean all encompassing, enriching, and empowering to us at the farm level, providing value to the environment, the consumer, the retailer, and Dannon and also creating more stable communities and more stable marketplaces. Before our partnership with Dannon we would reach the end of the month, turn around, and look at things in reverse. We received “x” dollars in our milk check and we had “y” bills to pay, so we then would be in either a positive or negative cash flow situation for the month. We then had to figure out how to pay our bills. Under our old model oftentimes you could see the right answer to an issue we were battling but you didn’t have the financial means or wherewithal to do it. This model has enabled people to open up how they think about approaching a problem or solving it whether it is the guy milking cows at 3 in the morning to our plant manager to ourselves. It is a liberating feeling. Removing the financial uncertainty has freed us to focus on the longer term. The biggest shift that comes from this new partnership model with Dannon for my brothers and the people we work with is that when we wake up in the morning and go to work we know we will have a job here for the foreseeable future. To put it in context, in 2009 the US dairy industry was getting beaten up pretty badly from a financial perspective and to be honest we as owners never worried about our personal ability to survive even if we quit the business. The thing that we worried about the most was the guy who was a 10 year employee who had poured a whole heck of lot of blood, sweat and tears into my family’s survival and he had no real incentive to do that other than a paycheck and belief in us. That was the most stressful part, the fear of having to tell that guy that we have to shut the doors on this place. We have invested in our team; we do more training in a month than we did in a year’s time under our old model. For a lot of the people we work with every day this model is creating an opportunity one to stay in a job we hope they like and find stimulating and challenging but also an opportunity to grow as managers or in their skill sets. They now can go to work every day and have true ownership of the product, they can go to a grocery store and point out to their friends and family and say, “Hey, I helped make that.” It is a point of pride. We know that that is what goes into making every cup of yogurt that we help create. In Thomas County, the community where I live, we have been able to create an additional 25 jobs since our expansion and have also added 23 to Scott County and 8-10 in Cheyenne County. Adding an additional 35 to 50 students, and the school funding that goes with them, has a huge impact in an area where you have graduating classes of 8 or 10 kids. So those are homes filled with kids in schools, people in local restaurants and grocery stores. We have also been able to create along with Dannon our Yogurt for Youth Program. Currently we are delivering at no cost to the schools about 4500 individual servings of yogurt a week to 6 different schools and a local day care center. Why we feel that is important is because in this school district, where my son goes to school, 50 -70 percent of the kids are eligible for the free or reduced lunch program. So there is a real need that we feel we are filling. When you become an integral part of the local economy and local school system they look to you to help whether it be to put kids in school, fill a home, or donate to the local cancer benefit. That is a responsibility we don’t take lightly. We are helping the survival of these small towns and schools, as well as the families we come to work with every day. The vision for it and the design and construction was done in collaboration with Dannon. It allows us to reclaim about 39,000 gallons of water a day to be reused through our system whether watering crops or livestock or cleaning facilities. But it also greatly reduces the volume of trucks moving product from our condensing facility to Dannon’s yogurt manufacturing plant. To the best of my knowledge we are the only dairy in the US that has this type of facility on its farm. It is the tool that in a water sensitive area has enabled us to grow and add jobs, a tax base and income in a community and not stress the aquifer. In northwest Kansas in particular, which sits on a declining aquifer, and globally, if we can save water that is a really big deal. I talk with a lot of local farmers my age who have kids about my son’s age. We talk about wanting our children and grandchildren to be able to pump water here. I guess it demonstrated to him that our culture had created such a feeling of calm and contentment in that cow and employee that that kind of interaction was not abnormal. (Cows don’t usually like to be petted!) Out of multiple pages of observations and calculations that that auditor had taken, that’s what stood out for him. It was so rewarding and fulfilling to me to know that the people who work with us not only try to abide by the rules but they embrace the culture as well. I think that speaks to what I think is the value of having a bigger vision as to what your business is about. When there is a decision to be made between option a and b, having your goals defined clearly for all team members allows people to look beyond just the financial metric as a way to make decisions. You just won’t compromise your environmental goals to save a nickel here or there. I think that is when you find your most dynamic and valuable answer to your decision-making. We are always trying to challenge one another–my brothers and I and our coworkers- and even in our relationship with Dannon, to think outside the box and find reasonable solutions to our goals. A lot of the sustainability goals may not be easy, but it doesn’t mean we will stop trying to achieve them. We get some inquiries as to how this model is working and I do think it will be replicated, whether it be in a dairy or other types of raw material production. I doubt it will be done exactly as we have. We have learned a lot and people can learn from our mistakes and make it work for them. It takes a lot of commitment from all parties who are partnering in the vision. It has been interesting to see the influx of visitors to the farm. Everyone is interested in ways that they can reduce freight costs, trucks on the road, and to conserve water and reduce overall costs in a way that brings value to the planet. I have a good friend who lives down the street from me who only drinks organic milk and we talk about this often. We are a conventional dairy farm. I view the dairy industry like the US in the 1800s, a big melting pot with a lot of different dairy cultures out there and each of them has their place. Everyone has a bit of a different way of going about it. I think organic has its place and I hope the demand for it is met. There is still the demand for high quality conventional products and as our global population increases by 2 billion in the next 35 years it will take a lot of different methods of agriculture and agricultural production to feed all of those people. Ken McCarty (left) and his extended family. If you have questions for Ken McCarty about the McCarty Family Farm's sustainability efforts you can reach him at info@mccartyfamilyfarms.com.